Dynamic, auto-updated news Web content. If it’s on your air, it’s on your website. We do the work. You keep the traffic. Seven news verticals: National, Politics, World, Business, Entertainment, Sports, Health/Lifestyle. Twelve music formats: Adult Contemporary, Lite AC, CHR, Hot AC, Country, Urban, Urban AC, Classic Rock, Classic Hits, Oldies, Active Rock, Alternative Rock. 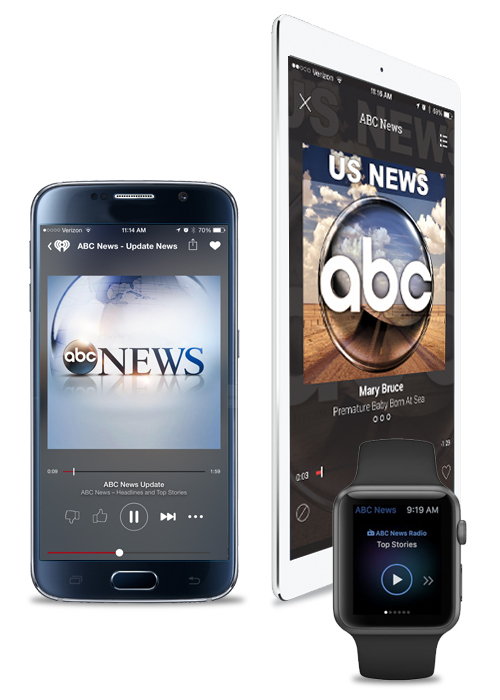 Includes exclusive ABC News content, not available from anyone else! Content feeds directly to your website, automatically. Photos with every story, plus videos and social content. Live streaming video of breaking news and planned events. Content advisories so your talent can help push listeners to your website. Breaking news alerts 24 hours a day, seven days a week.